If you need to use Find My iPhone, you're probably already in a stressful situation: your iPhone is lost or stolen. That situation gets worse if Find My iPhone isn't working. Find My iPhone is a terrific tool for locating lost or stolen iPhones and iPod touches. By combining the built-in GPS on those devices with the online services provided by iCloud, Find My iPhone helps you locate your devices on a map and, if they've been stolen, lock them to keep your information away from prying eyes. You can even remotely delete all the data from your phone. 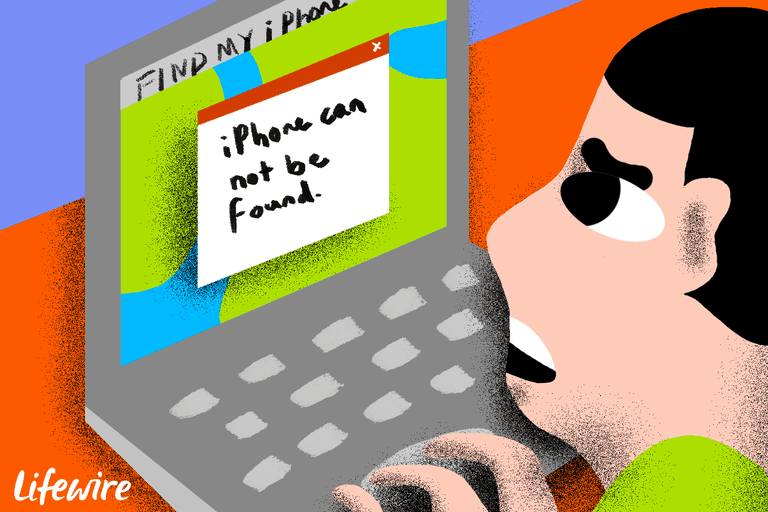 But if you're using Find My iPhone to track down your device and it's not working, try these tips. You may have seen that there is a Find My iPhone app available in the App Store. You can download it if you want, but it has nothing to do with whether your device is findable or not. Any compatible device with iCloud and Find My iPhone turned on can be tracked using the iCloud website. The app gives you another way to track lost devices (not helpful, of course, if it's installed on the device you need to find). It can be useful if you're on the move trying to find the lost device, but having it is not required for Find My iPhone to work. The most ironclad requirement for being able to use Find My iPhone is that both iCloud and Find My iPhone have to be enabled on the device you need to locate before it's lost or stolen. If these services aren't on, you won't be able to use the Find My iPhone website or app, since the service won't know what device to look for or how to contact it. For this reason, enable both features when you first set up your device. Even if you didn't set it up then, you can set up Find My iPhone at any time. Find My iPhone can only locate devices that are turned on or have power in their batteries. The reason? The device needs to be able to communicate with cellular or Wi-Fi networks and send GPS signals in order to send its location to Find My iPhone. If you have Find My iPhone enabled but your device is turned off or out of battery power, the best the Find My iPhone site can do is to show the device's last known location before the power was cut. It will display that location in the Find My iPhone app or website for 24 hours. Find My iPhone requires the missing device connect to the internet to report its location. If the device can't connect, it can't say where it is. This is a common explanation for why Find My iPhone isn't working. Your phone might have no internet connection due to being out of range or Wi-Fi or cellular networks, or because the person who has it turned off those features (by enabling Airplane Mode through Control Center, for instance). If that's the case, just like when there's no power, you'll see the phone's last known location for 24 hours. The SIM card is the small card on the side (or top, on some earlier models) of the iPhone that identifies your phone to your phone company and lets your phone connect to cellular networks. Without it, your phone can't connect to 3G or 4G and thus can't communicate with Find My iPhone. If the person who has your iPhone removes the SIM, your phone will essentially vanish from the internet (unless it is connected to Wi-Fi). On the plus side, the phone needs a SIM to use cellular phone networks, so even if the thief puts a different SIM card in it, the phone will be visible to Find My iPhone next time it comes online. Believe it or not, the date set on your device can affect whether Find My iPhone works properly. This issue is true for many Apple services (it's a common source of iTunes errors, for instance). Apple's servers expect devices connecting to them to have the correct date, and if they don't, problems ensue. The ability to use Find My iPhone to locate your device on a map is not available in all countries. Maps data needs to be available for that country, and Apple doesn't have access to that data worldwide. If you live in one of those countries, or if your device is lost in one of those countries, it won't be trackable on a map using Find My iPhone. The good news is that all other Find My iPhone services, like remote locking and data deletion, are still available. This isn't the most likely option, but if Find My iPhone isn't working when you need it, it's worth checking. When you log into Find My iPhone on the web or in the app, you have to use the same Apple ID to login that you use on the missing iPhone. Apple tracks devices by Apple ID and only lets you track missing devices with your Apple ID. It's possible that if you're using someone else's computer or phone to track your lost iPhone, you're also logged into Find My iPhone using their Apple ID without realizing it. On iPhones running iOS 6 and earlier, thieves were able to delete all the data and settings off an iPhone to make it disappear from Find My iPhone. They could do this by restoring the phone to factory settings, even if the phone had a passcode. If you're running iOS 7 or higher, this no longer applies. In iOS 7, Activation Lock prevents a phone from being restored without the password originally used to activate it. That's another good reason to always upgrade to the latest version of iOS (assuming your device supports it). This is unlikely to be an issue for most people these days, but Find My iPhone requires that the device is running at least iOS 5 (which came out in the fall of 2011). Assuming your device can use iOS 5 or higher, make sure to update to the latest version; not only will you be able to use Find My iPhone, you'll also get hundreds of other benefits that come with the new OS. Almost every iPhone still in use these days has been upgraded to iOS 10 or higher, but if you're trying to track an old iPhone and can't figure out why it's not working, this could be the reason. As mentioned earlier, iOS 7 brought with it an important new feature to prevent thieves from being able to do anything useful with a stolen phone. This feature is called Activation Lock, and it requires that the Apple ID used to originally activate the device be entered in order to erase or reactivate the device. For thieves who don't know your Apple ID username or password, the stolen iPhone is no good to them. Activation Lock is built into iOS 7 and up; there's no need to turn it on.